How Do You Rank Compared to Your Competitors? HubSpots's Annual Report on Inbound Marketing and Sales. Inbound marketing focuses on the process of turning a stranger into a delighted customer. It's about matching the way you market and sell with the way people actually want to shop and buy. 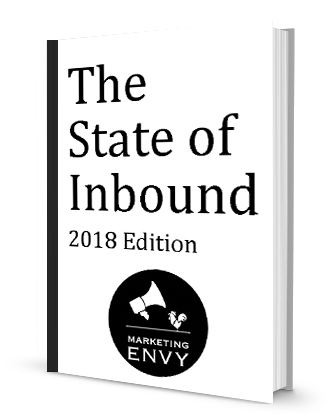 The 2018 State (and Future) of Inbound holds some of the most informed predictions for the future of marketing and sales you’re likely to find. It forces you to ask the questions you might have been trying to avoid, but that will ultimately lead your business to success you're after.